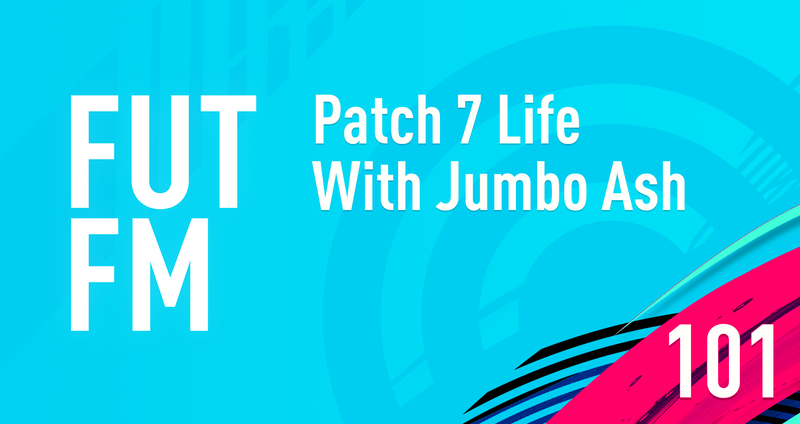 One of the coolest people in the FIFA scene joins us to discuss what FIFA life is like after patch 7! Hey everybody! This week we an have amazing FIFA streamer, JumboAsh, joining us for the whole show. Woo!! The first console Weekend League after patch 7 is complete... so is FIFA 19 way better now that finesse has been nerfed? P.S. the first 9 or so minutes are about real football. Let us know if you’d to hear more football discussions on the show in the future. This might be the best patch modern FIFA has received. They said it would nerf finesse shots and goalkeeper movement, and it did that. Too often we’ve had patches not pan out the way they were intended. But is the game better off now? With finesse shots being heavily nerfed, there’s a gowing online consensus that the defensive AI is too difficult to break down and that inside the box shooting is poor. Let’s unpack that. I don’t think the defensive AI is overpowered at all. In fact, I think it should be pretty good to compensate for the fact that FIFA has typically been an unrealistically high scoring game. However, it’s also perfectly clear that attacking AI is poor. Instead of nerfing defensive AI and turning FIFA 19 into a super arcadey goalfest again, I think it would be better to buff offensive AI. Your attackers are good at running forward and not much else. They don’t really bend or time their runs in useful ways, and they won’t cut inside from the wings even if you instruct them to. There’s very little variety in attacking movement, making the defensive AI feel like it’s too powerful. Now let’s move on to inside the box finishing. I think there’s definitely a problem there. None of us want to go back to FIFA 18 levels of scoring inside the box from impossible angles with impossible pace on the ball. But shooting inside the box right now is very inconsistent. You could get a green timed shot from 11 yards out and miss the entire net. It just doesn’t make sense that a 93 rated attacker with great finishing attributes would struggle this hard. It would be good to reduce the potential error on what amounts to perfect shots inside the box and in 1 on 1 situations. Not only does this make sense from a football point of view, but it could encourage players to break down defenses because they’d know they can rely on inside the box shots. Patch 7 is a great step forward, and hopefully this becomes a trend. I do want to point out one other thing though. This WL has been extremely toxic in my experience. So many people were shushing and time wasting, it really made me not want to play despite enjoying the gameplay after the patch. The rewards structure of FUT encourages people to win no matter what, even if it means being a huge jerk. I don’t think that has a place in video games. That’s it for this week comrades! Don’t forget to subscribe to the longest running FIFA podcast on Apple Podcasts/Google/Spotify so you don’t miss the latest episode. Cheers!